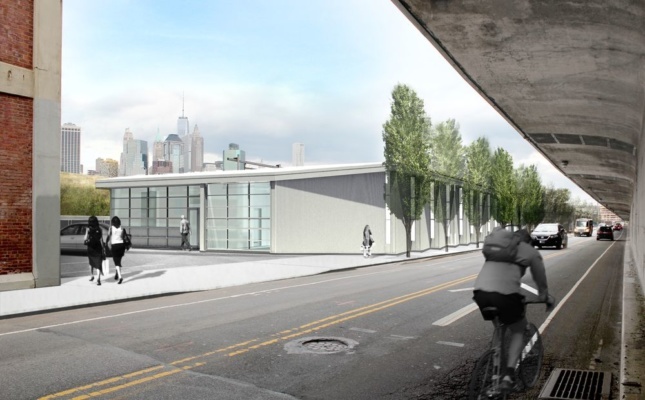 The project stretches out across Furman Street and the Brooklyn-Queens Expressway, acting as a sound barrier to ward off traffic noise. A boathouse, a horticulture lab, and more restrooms will be added too; construction started last year. 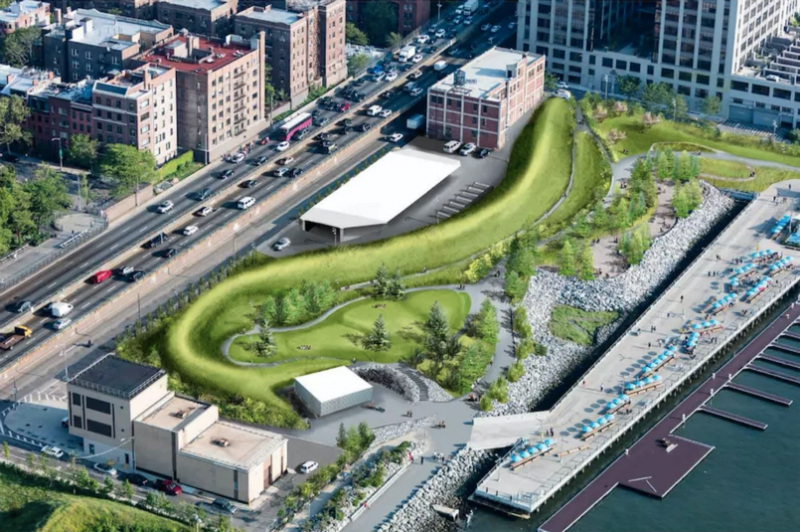 Images for the Pier 5 uplands project at Brooklyn Bridge Park have been unveiled by landscape design studio Michael Van Valkenburgh Associates (MVVA). Construction started last year, but now renderings depict what Pier 5 will look like. Images depict a slender, eel-like grassy mound meandering lengthways through the 4.5-acre park. The project stretches out across Furman Street and the Brooklyn-Queens Expressway, acting as a sound barrier to ward off traffic noise. This will hopefully make the esplanade on the other side more peaceful. 17,000 square feet of green space will be added too, courtesy of a reworking of the Joralemon Street entrance. This new configuration will also link MVVA’s work to the existing park and its seated waterfront area. As of now, Pier 5’s perimeter includes a 30-foot wide promenade that offers “magnificent views of lower Manhattan, Governors Island, and the New York Harbor.” Promenade features also boast three viewfinders, one of which is ADA accessible. On the Furman Street side, further work will include a new entrance to Montague Street along with general pedestrian improvements. A boathouse, a horticulture lab, and more restrooms will be added too, with the former being used for park programs open to the public. Michael Van Valkenburgh Associates has also done work for Piers 1, 2, and 6. Though the uplands at Pier 5 currently holds an array of soccer, soccer, lacrosse, rugby, flag football, and ultimate frisbee fields, Interim President of the Brooklyn Bridge Park Corporation (BBPC) David Lowin said he aims for the area to be a “more restful counterpoint.” The BBPC recently announced that the Pier 5 sports fields will be closed until Spring 2017.